Also had tins of Quality street for same price. These are a family favourite, however they seem to fill up the tin with lollies to bulk it out. 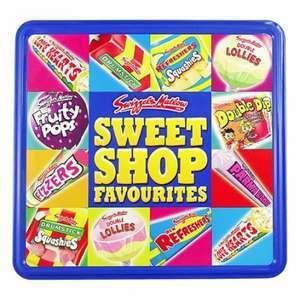 We had 33 lollies in our tin, and the good stuff like the Refreshers and the Fizzers only had a couple of packets in. We were gutted. This is a great price though. And they are all dated until April 2015 so can put away for halloween this year or even next christmas.